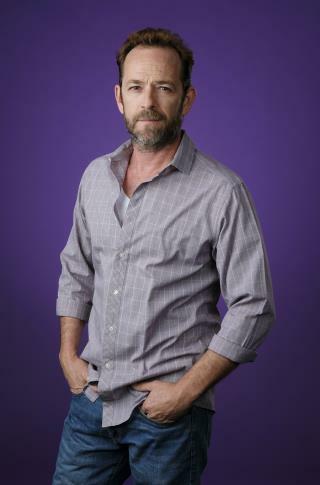 (Newser) – Luke Perry, the beloved star of Beverly Hills, 90210, and Riverdale, is dead at age 52. TMZ reports the actor never recovered after suffering a massive stroke at his Sherman Oaks, Calif., home Wednesday morning. He died Monday morning surrounded by family and friends including his children, his fiancee, his ex-wife, his mother and stepfather, and his brother and sister, the actor's rep confirms to USA Today. "The family appreciates the outpouring of support and prayers that have been extended to Luke from around the world, and respectfully request privacy in this time of great mourning," the rep says. better to go pop than to rot. I'm getting like my grandpa. Looking through the obits for younger people than himself. Of course I'm now taking about 25 different types of antioxidants that I order and stuff into pill form myself. If an oxidant gets within 10 feet of me, its cooked!